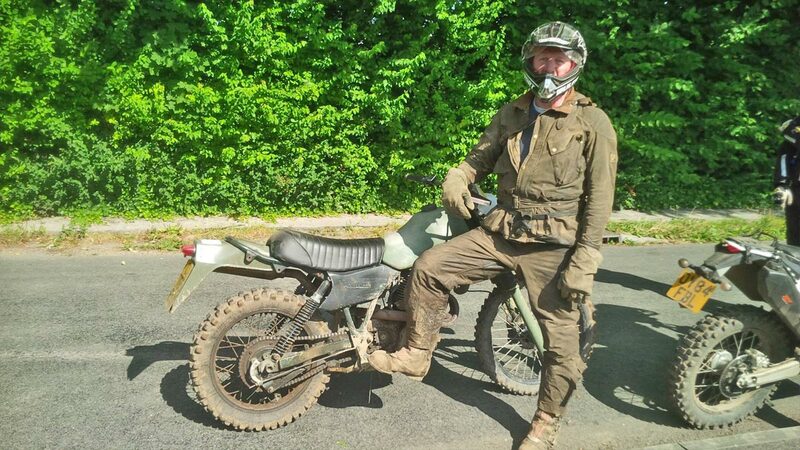 How many Green Roads can you ride in a day? What if that day was one of the longest in the year? That's exactly what Cambridge TRF's Dawn Till Dusk event aims to find out. 250 miles for as long as the sun is up. 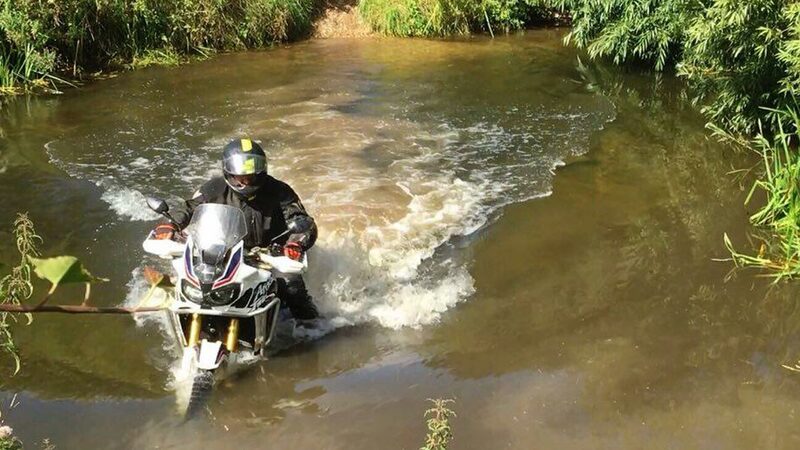 TRF member Lewis Roper set out to see how far he could get. Hi Lewis. The first time I saw the Cambridge TRF event Dawn till Dusk I thought it was an all night thing, but then I realised my movie inspired mistake. It's an all day thing on one of the longest days of the year. Is that right? Yes that's right. Setting of bright and early from the edge of Essex heading up to the Norfolk coast for fish and chips by the sea, and then trying to get back to Essex before the sunsets. The total route was around 250 miles with approx 80 different green lanes. 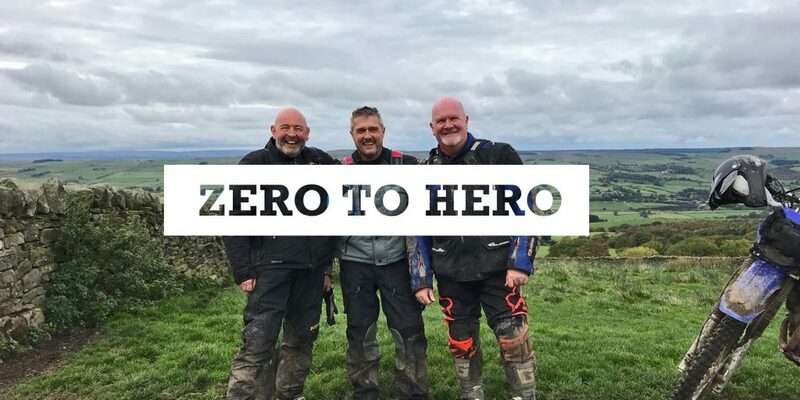 It was organised by Colin Pountney of the Cambridgeshire TRF group who having tested the route last year with a small group of local riders opened it up to the National membership as a charity fund raiser for Headway, a local charity giving assistant to people that have suffer head injuries. It's an interesting concept, to just get out and ride for as long as you can in an day. I know a lot of orange enduro bikes would want to be back before dark. How did it go? Originally I was supposed to be helping as a run leader but had injured my wrist a few weeks before in a crash but fortunately Colin managed to get another volunteer so I joined the last of 5 groups I think. 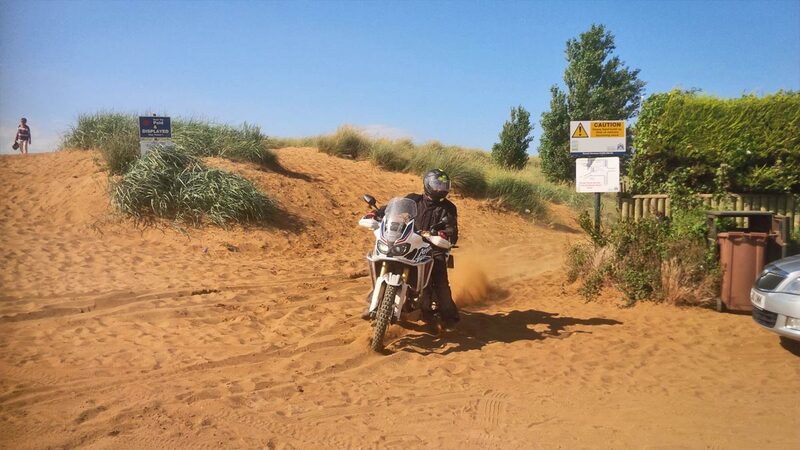 We set off at around 9ish after waiting for another rider who had got caught in traffic on the way down from Peterborough. The first trail of the day had be TRO'd due to maintenance so a quick re-route saw us cross from Essex into Cambridgeshire. 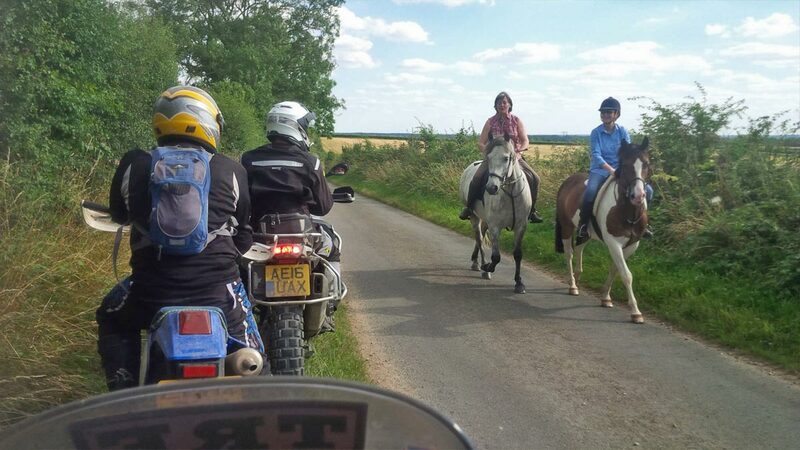 Here we did some lanes going past the wind farms near Balsham across towards Newmarket on a lane that runs in parallel to the A14 which is a tad strange to be trail riding whilst just to one side is dual carriage way traffic on the other side of the hedge! 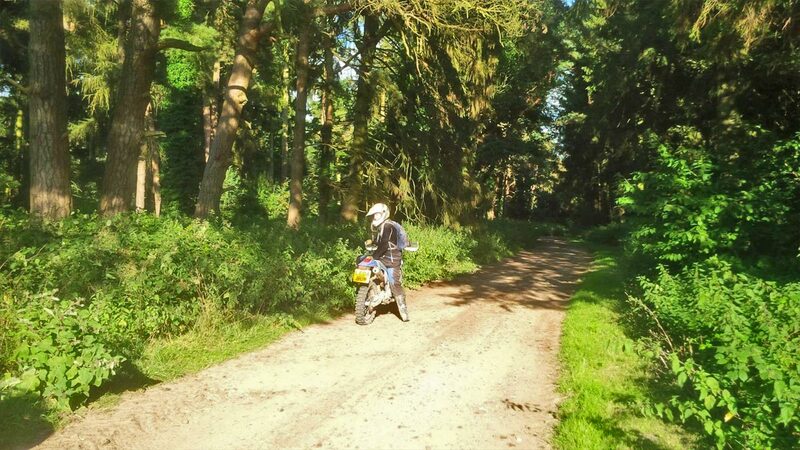 We rode through the forest around Thetford skirting round the Elveden estate using some flowing dusty tracks that are my local lanes. We stopped for a breather using the trees for shade as we had perfect blue sky all day which made things a tad hot so plenty of water was needed. 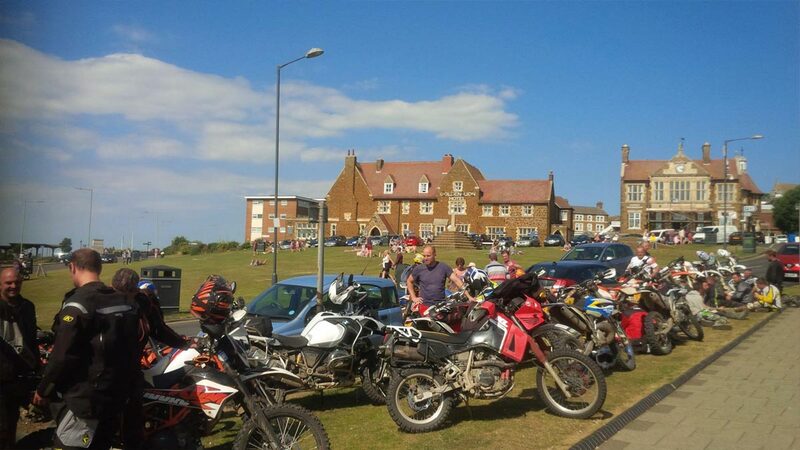 We then headed up into north Norfolk on pedders way entering Hunstanton from the east side on the coast road. Here we caught up the earlier groups were we could all enjoy our traditional sea side lunch before heading back home. The way back we kept more to the west side of Pedders along the edge of the Sandringham estate. This was a mix of more open tracks and then some really narrow overground single track before getting back to Brandon and Red Lodge to head home. I heard that there were some interesting lanes that you had to tackle. It's hard to believe that with all the talk of losing lanes there are still some that don't get used enough to fight back the weeds! A few of the lanes are quite remote and with a period of good weather and a few heavy showers it's been ideal weed growing weather, so they can be a bit tricky to get through without a bit of determination. I think a lot of folks probably don't even realise some of them are rights of way or get put off by battling through the vegetation. It's important we persevere in using them though else they'll be lost for good and it's a good challenge. 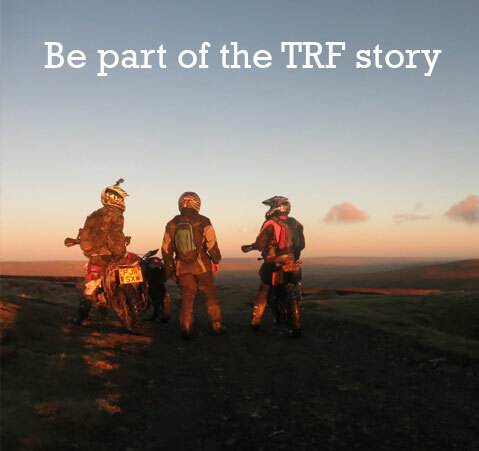 For someone who has traditionally been riding enduro, how have you found your first year as a TRF member? 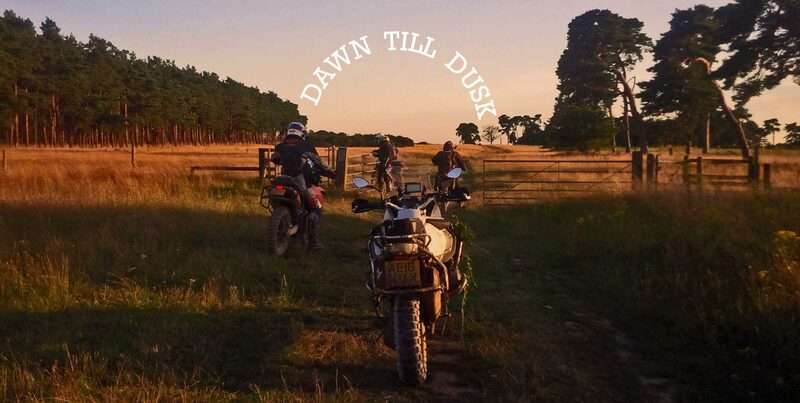 Are events like the Dawn till Dusk important for you? 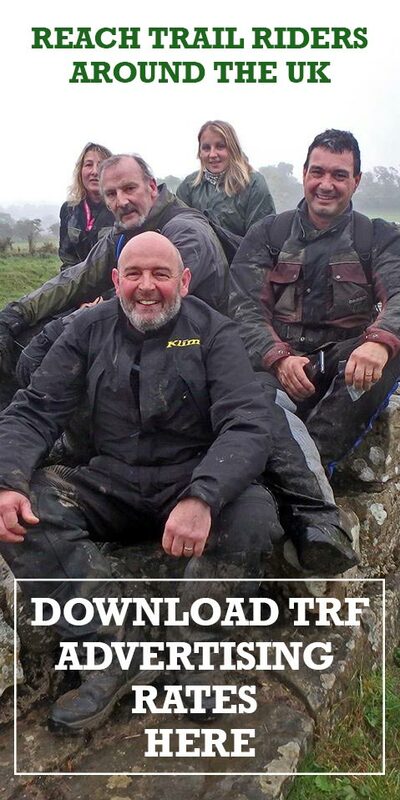 I've found my first year of green laning with the TRF fantastic. It's good to just be able to get time on the bike without the speed and pressure of enduro events and enjoy exploring the countryside. 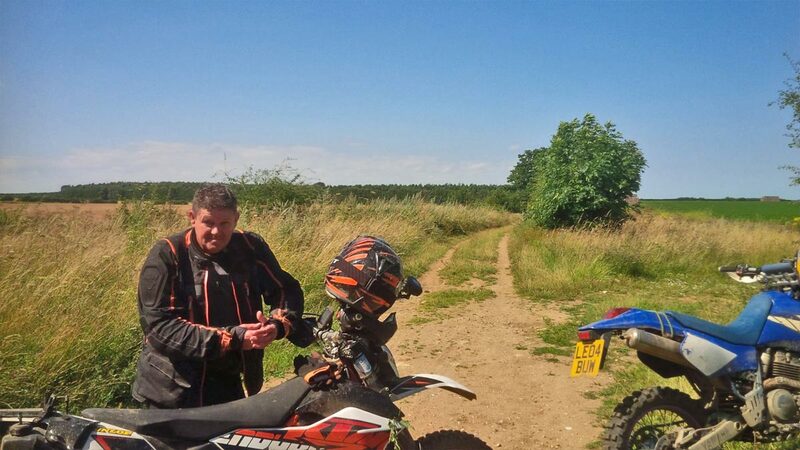 Having learnt lots of local routes with the help of Colin I've been able to help on the earlier Iceni event as a run leader which was great to be able to show riders from other areas the great trails round here. Finally, the event was as much about raising cash as it was riding the lanes. Where did the money go? 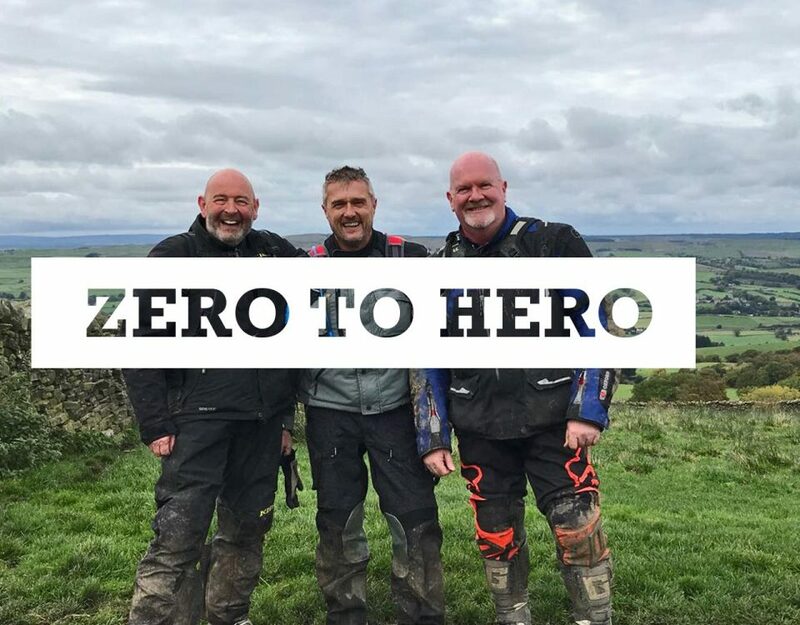 We raised just over £1000 for Headway Cambridgeshire by charging a small entry fee and TRF member Chris donated bacon rolls and tea at the start for a donation for the cause. The money will be used by them to help provide support to people who have suffered head and brain injuries. 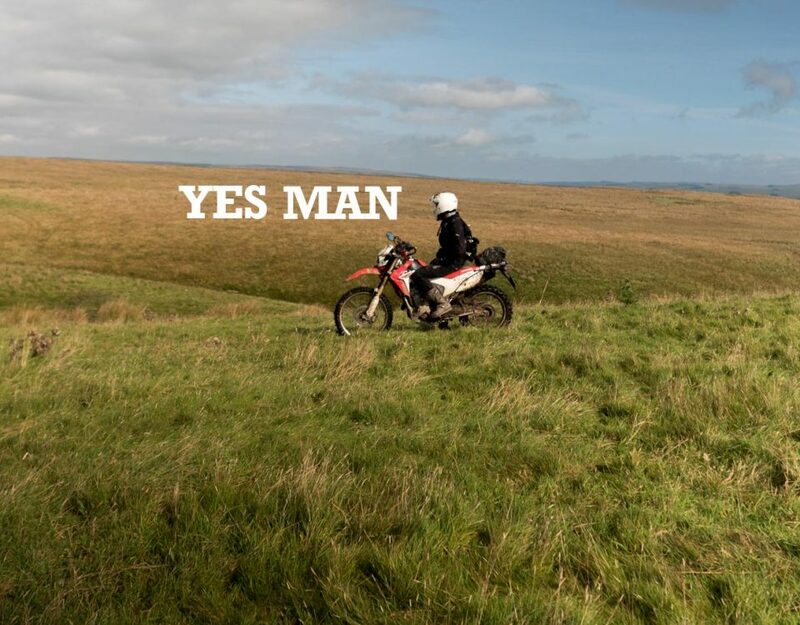 Both ourselves, cyclists and horse riders that we share the byways with are all too often those who suffer these types of injuries so it felt an appropriate cause to try to assist. 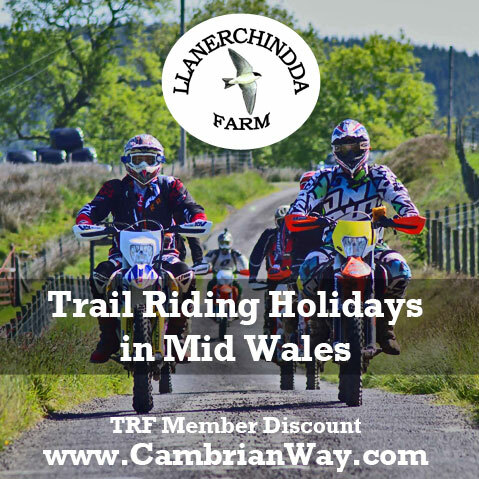 The TRF Facebook Page is a great way to find out about events like the Dawn Till Dusk weekend all over the country throughout the year. 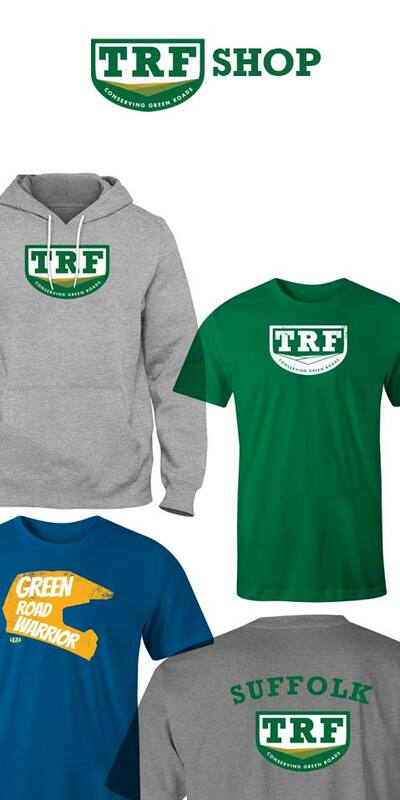 Did you know the TRF has a shop? Show your support for Green Roads on and off the bike.